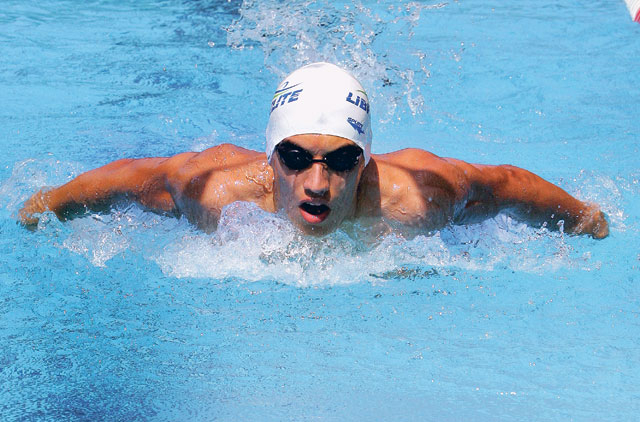 Dubai: Andrew Chetcuti, head boy at Dubai College, turns 18 next month, and he readily admits that earning a berth on the Malta team for the 10th Fina World Swimming Championship to take place in Dubai this December would make for the perfect birthday present. Having virtually grown up in Dubai since moving to the emirate with his family back in 1995, it's easy to understand Chetcuti's burning desire to represent his home country at a world championship event in a country he considers ‘home'. "I've made the provisional team of 15 which they will cut down to 11. I will find out some time next month if I'm there," Chetcuti told XPRESS. While he managed to meet up with his compatriots on the national squad at a 10-day training camp in Italy just recently, it's not an excursion which Chetcuti can afford to undertake too often. However, he is optimistic his status as a Dubai resident will persuade the Malta team officials to select him for the 25-metre short course event, thus enabling them to cut down on some of their own expenses come December. "I hope my being here works in my favour," said Chetcuti with a wry smile. "The world championships are my main goal this year. My training has got much higher than it's ever been just to prepare for the world championships. I will consider it more of a home event than the rest of the Maltese team because I would be competing at home, so I would feel more comfortable in a way," he added. For someone who now takes to water like a fish, it's ironic how Chetcuti began his love affair with the pool. "I was scared of water when I was small, so my parents forced me to start swimming just so that I wouldn't be scared of water any more," he revealed. Chetcuti knows his friends and schoolmates will turn up in big numbers at the stunning newly launched Dubai Sports Complex if he does get to compete at the world championships, but he isn't afraid of any pressure. "I'm not really worried about the pressure," he said. "The only pressure I have is because I'm keen on applying for a swimming scholarship to a university in the United States and for that I need to get my times down a bit more in the world championships. But I'm going to enjoy my friends being there. It will help me relax a bit more I think."